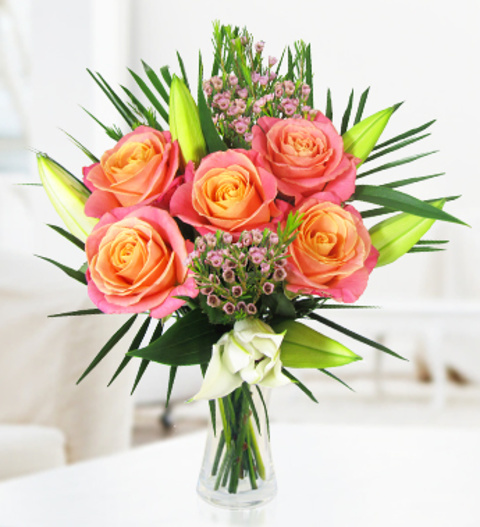 A stunning arrangement of Miss Piggy Roses and long stemmed lilies set in a bed of tropical palm and pink blossoms. This arrangement is sure to bring that instant WOW factor and comes with a FREE box of delicious Belgian chocolates. Each bouquet is skilfully arranged by our talented florists and is available for UK next day delivery. Chocolates may contain nuts.